You are traveling on Kettleman Lane headed to the Woodbridge Golf & Country Club in Lodi when your sedan is t-boned by a large commercial tractor-trailer. The damage is extensive including catastrophic injuries. The police investigation discovered that the truck operator had been behind the wheel for 24 hours straight with no stops and became extremely fatigued. Unfortunately, this scenario and many others like it, are quite common. Nearly 4,000 people died in accidents involving large commercial trucks in 2015, according to IIHS. Many of these terrible accidents occurred in California since our state leads the country in the percentage of recorded truck accidents, according to Distracted Driving Accidents. If you or a loved one was involved in an accident with a large commercial truck, contact an experienced Lodi truck accident attorney to discuss your legal options. Depending on the facts of your case, you may be able to pursue claims against multiple defendants, including the truck operator who collided with your sedan, SUV, or pickup truck and their employer. In a truck accident injury case, the injured party bears the burden of establishing liability and financial responsibility on the truck driver and their employer. To establish liability, your lawyer must be able to show that the truck driver and/or other related defendants owed a duty of care to you and other drivers to exercise reasonable care under the circumstances and that the defendant(s) breached that duty, proximately causing your physical, mental, and emotional harm. Serious commercial truck accidents are not just caused by operator negligence. Many accidents are actually caused by improper maintenance of the commercial truck causing it to malfunction while on a busy road or highway. This is often caused by trucking companies that opt to defer routine maintenance for as long as possible in an effort to maximize profits. This is extremely risky since some commercial trucks that have been on the road for weeks or months with little-to-no-maintenance are like time bombs waiting to wreak havoc on the roads. There are state and federal regulations in place that require trucking companies to routinely inspect and maintain their trucks. Still, many trucking companies throw caution to the wind and neglect maintaining their fleet of vehicles until a terrible accident occurs. 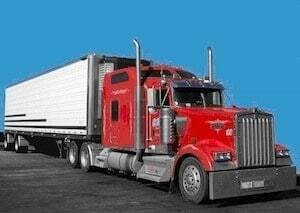 If one or more of these systems and component parts fails, you may be able to seek financial restitution against the trucking company, in addition to the truck operator. A Lodi truck accident lawyer can also retain experts whose experience and knowledge can be useful in a courtroom to help prove your case. Experts include a former investigator for a state department of transportation or a computer expert who can interpret the black box data from the truck. The prospect of filing a lawsuit against a big trucking company can be overwhelming. But rest assured, you are not alone in this fight. In fact, there are numerous examples of people standing up and getting sizable verdicts against large trucking companies that negligently harmed them. Since 2011, there have been at least six truck accident cases where a settlement or verdict resulted in $20 million or more for the injured party, according to the National Law Review. An example can be found in a jury verdict in favor of a widow whose husband was killed in a commercial truck accident. The jury awarded over $40 million in damages. The victim was hit and killed by a commercial truck driver who ran a stop sign and hit the victim’s pickup truck. Another example is a case involving the deaths of five college classmates. A commercial tractor-trailer reportedly ran over the top of a Toyota Corolla carrying the five classmates. Multiple wrongful death lawsuits were filed on behalf of the victims and the trucking company reportedly settled for nearly $80 million. 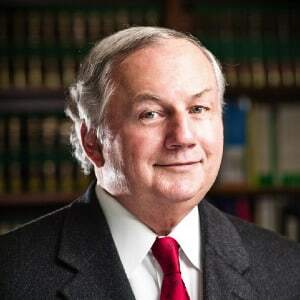 I'm Ed Smith, a Lodi truck accident injury attorney who has been practicing injury law since 1982. I've been handling ONLY personal injury and wrongful death cases throughout the great state of California for over three decades. The prospect of taking on a large commercial truck company can be quite intimidating. This is why you need to level the playing field by retaining the services of an experienced and aggressive attorney. Call me, Ed Smith, today at (209) 227-1931 for free, friendly advice. Read a variety of client ratings on: Avvo, Yelp and Google. I am an injury lawyer in the Million Dollar Advocates Forum. We represent some of the nation’s top injury lawyers having obtained million dollar verdicts for our past clients. See some of the Verdicts and Settlements obtained by our injury lawyers here. I founded the website: www.AutoAccident.com. Photo Attribution: Wikimedia Commons by PRA – (own work).